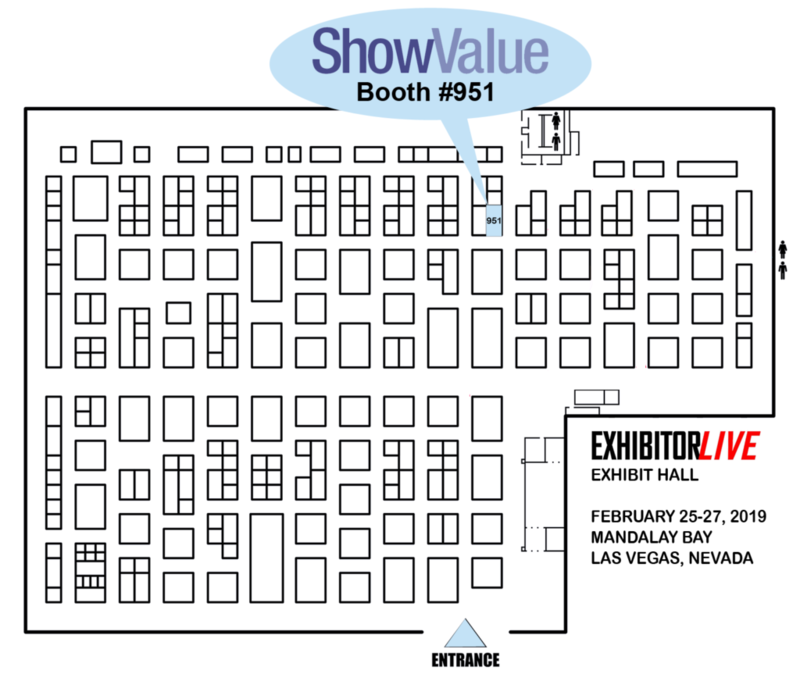 Come See Us at ExhibitorLIVE 2019 - ShowValue, Inc.
ShowValue had a great time at ExhibitorLIVE 2018 and met so many wonderful people. In fact we had such a successful time that we’ve committed to return to exhibit in 2019. 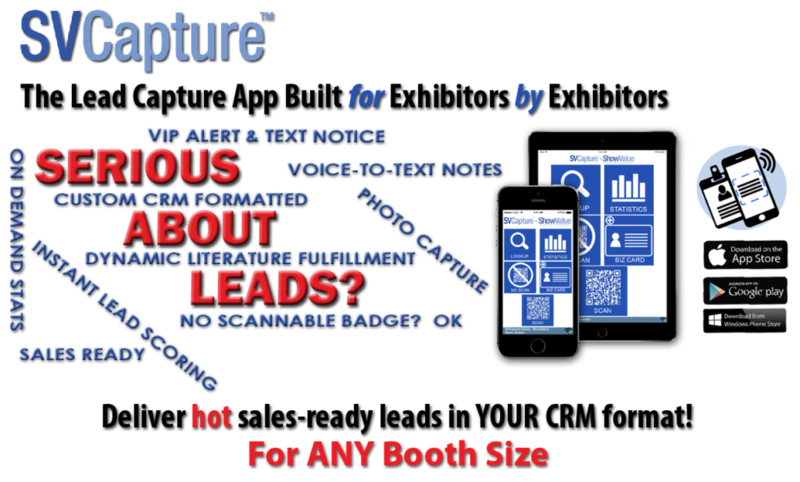 At ExhibitorLIVE 2019 we will be demonstrating live how easy our robust lead capture app, SVCapture™, is for capturing the most qualified, ready-for-sales leads all exhibitors want and need. It is also a great tool for organizers of small to mid-size exhibition shows to offer to their exhibitors. IMAGE CAPTURE save sketches, diagrams, etc. We want to show you these UNIQUE FEATURES in person! We will be demonstrating our magic in Booth #951. If you would like a FREE exhibit hall pass, you can get it right here! Here’s a map of the show floor! 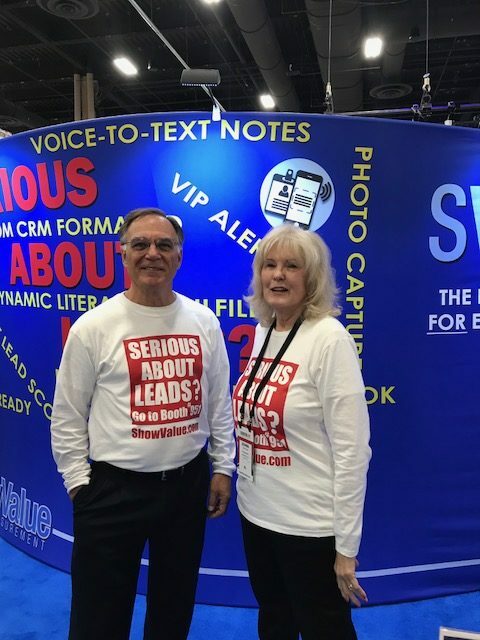 If you cannot make it to the ExhibitorLIVE show or are just eager for info now, we are more than happy to talk to you now! Please contact Deane Louise Greene directly or send an email message to info@showvalue.com. 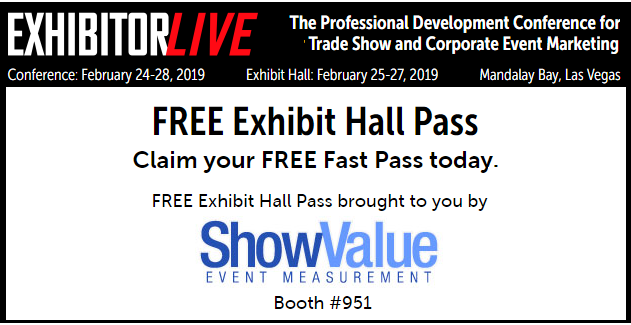 We hope to see you at ExhibitorLIVE 2019!